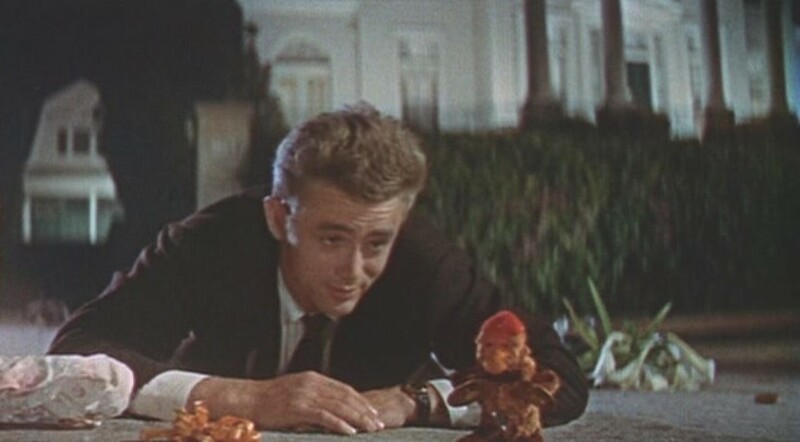 From the day I received an email from LACMA announcing that they would be screening the world premiere of the 4K Digital Cinema Master of Rebel Without a Cause restored from an 8K scan of the original CinemaScope 2.55:1 widescreen camera negative, I’ve been looking forward to seeing it. My excitement was compounded by the fact that Martin Scorsese was going to be there to introduce the film. I bought my tickets, the minute they went on sale. Scorsese is the Founder and Chair of The Film Foundation, created in 1990 devoted to protecting and preserving motion picture history. 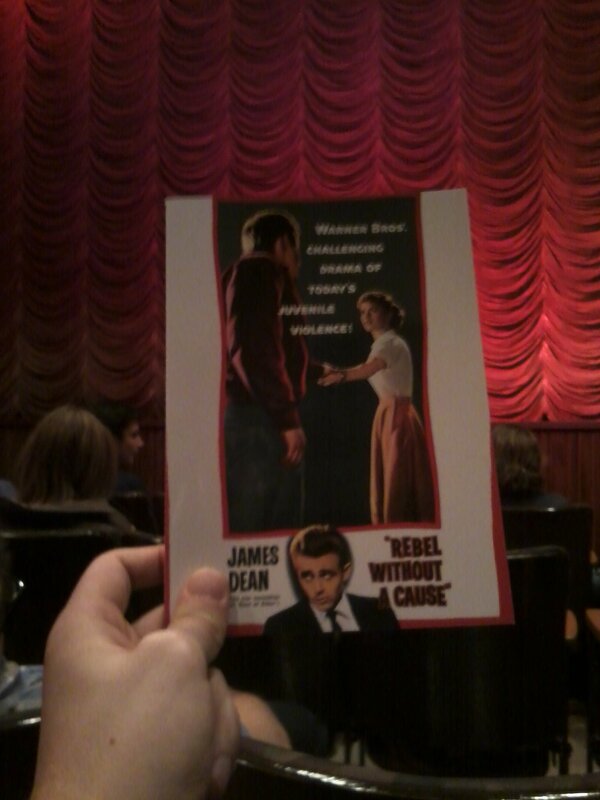 There’s no disputing that James Dean is a legend, and this is a significant film. 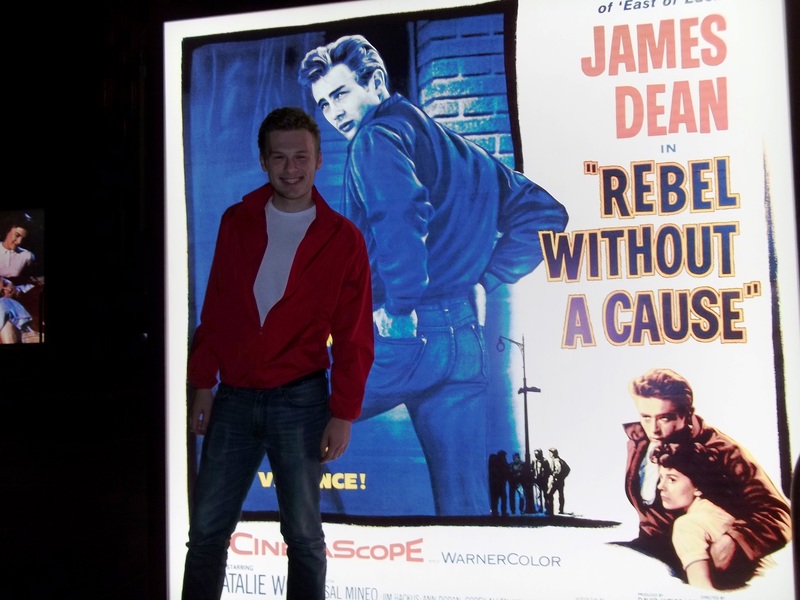 Even if you aren’t a James Dean fan, Rebel Without a Cause is an important motion picture. As a film student, I’m also moved by what another legend wrote after having seen both of director Nicholas Ray’s films Johnny Guitar and Rebel Without a Cause. Jean-Luc Godard said, “One cannot but feel that here is something which exists only in the cinema, which would be nothing in a novel, the stage or anywhere else, but which becomes fantastically beautiful on the screen.” That’s a powerful “thumbs up” that should encourage anyone who hasn’t seen this film, to make sure to see it as soon as you can. Considering what Godard wrote, it’s incredible to me that Ray initially starting shooting Rebel in black and white. Thank goodness Warner Bros. realized after three days of shooting that Rebel was going to be a distinctive work, so they started filming again in CinemaScope and WarnerColor. I can’t even imagine Rebel without the images of Jim Stark’s red jacket. 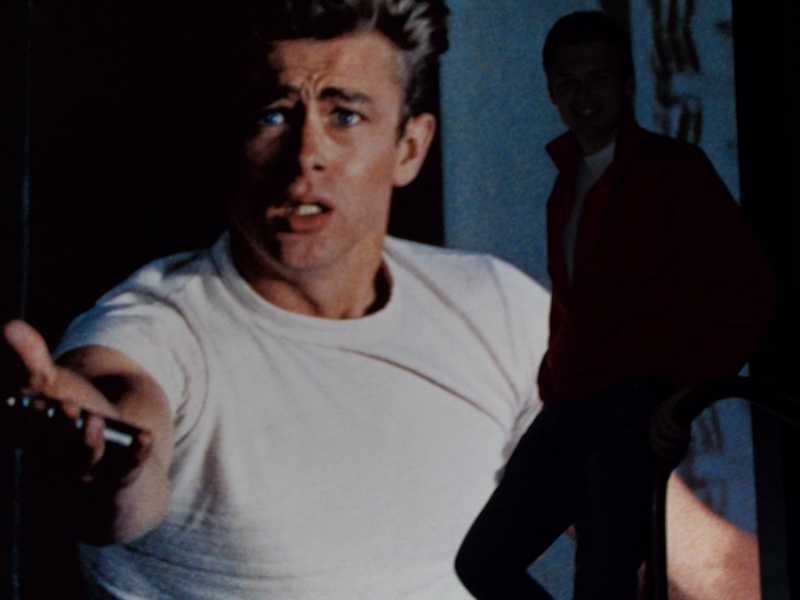 Rebel Without a Cause was Nicholas Ray’s creation and he babysat it from his original outline to post-production. His outline was more of an idea. He wanted to tell a story about teens versus parents, from the teens’ point of view. He had his three lead characters: Jim Stark, Judy, and Plato and a vision of a story about their search for truth, sincerity, friendship, and love. 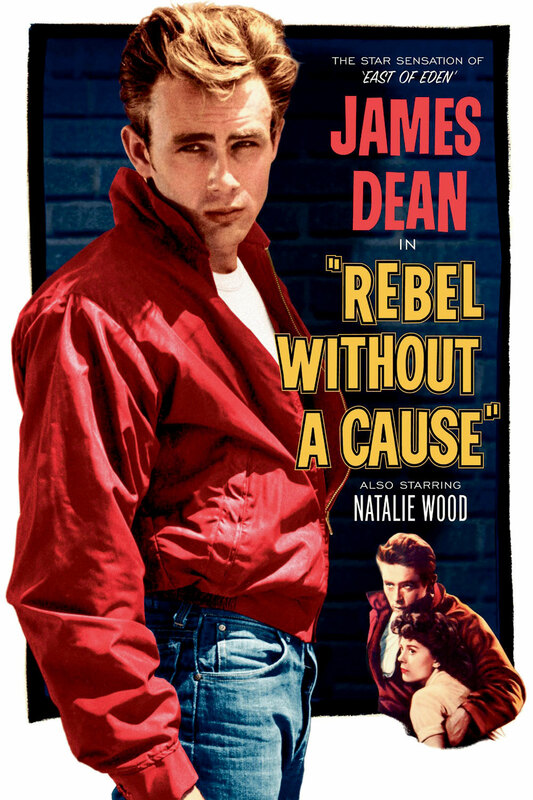 But the title, Rebel Without a Cause, came from another project Warner Bros. had bought in 1947. Of course, tragedy struck while the film was still in post, and James Dean died when his Porsche collided with another car on September 30, 1955. He was 24. 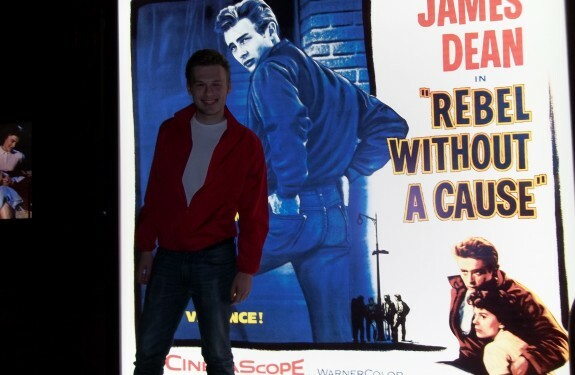 Rebel Without a Cause was released at the end of October and was the only film performance Dean didn’t receive an Oscar nomination for. For both of his other two film performances (he only appeared in three films) in Giant and East of Eden, he was nominated for the Best Actor in a Leading Role award. However Dean’s Rebel costars, Sal Mineo and Natalie Wood, were both nominated for Supporting Actor and Actress awards respectively and Nicholas Ray was nominated for Best Writing. 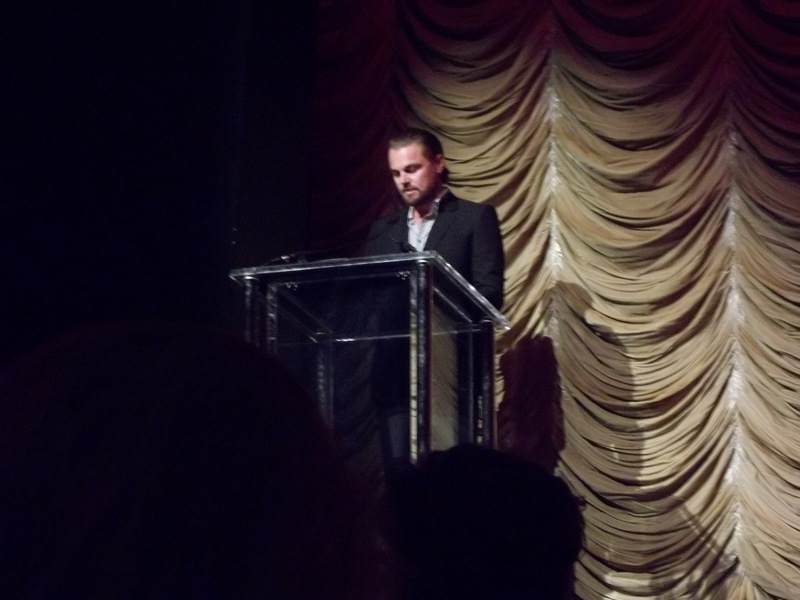 A couple of days before the screening at LACMA, Martin Scorsese developed a scheduling conflict and it turned out that Leonardo DiCaprio appeared in Scorsese’s place and read the statement that Scorsese had planned to read. 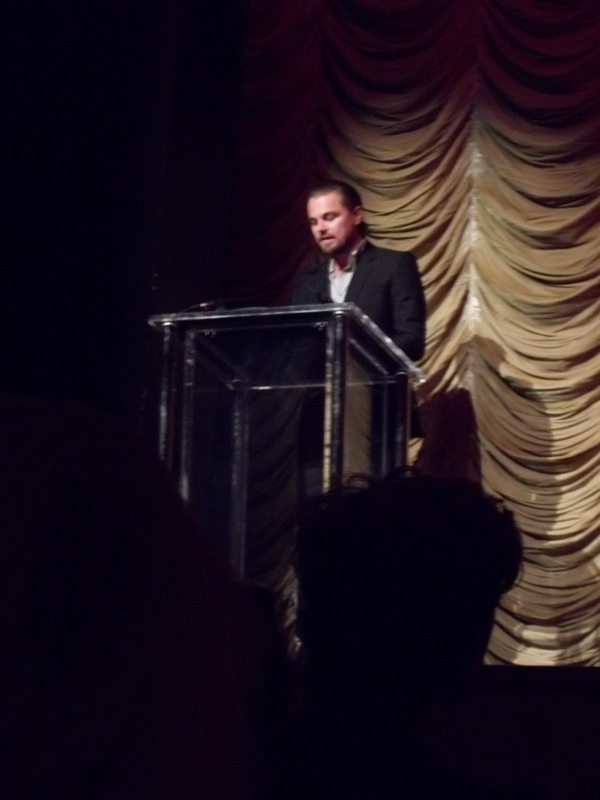 I admit it, I was really looking forward to seeing Scorsese, but it was still a great night! 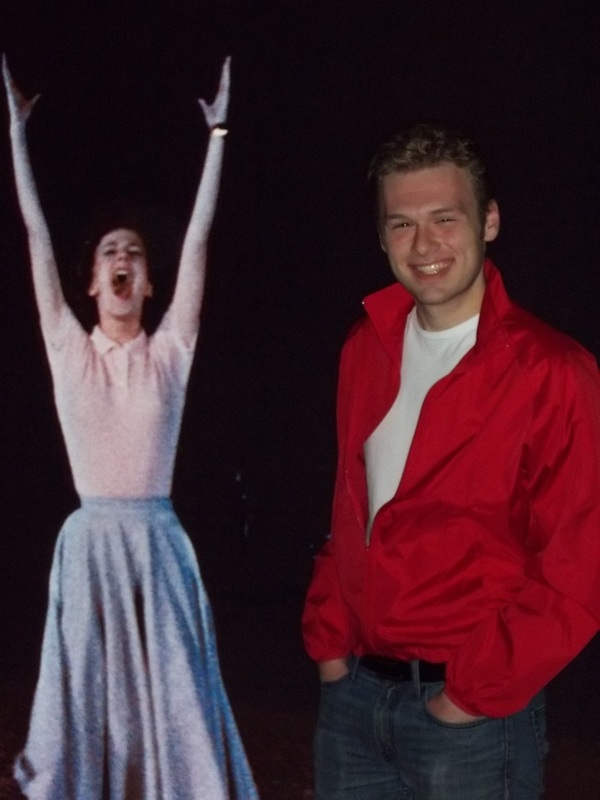 Although, it’s still a little frightening to think that the iconic image of James Dean in that red jacket almost never happened. 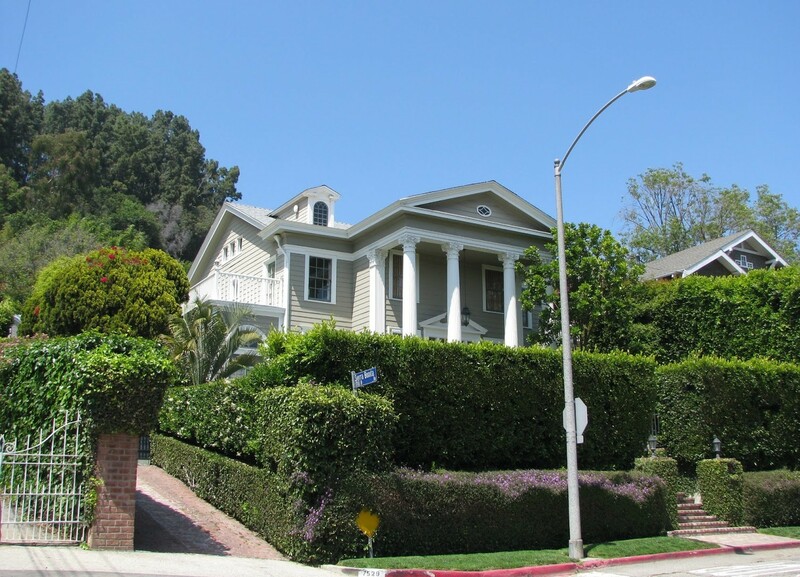 If you’re in L.A. and you want to see some of the filming locations, you can visit the Griffith Park Observatory, or the house behind Dean in the opening sequence pictured below (located on Franklin Avenue in Hollywood) — and Santa Monica High School was used as Dawson High in some scenes as well.